Opening hours: Shops are generally open Monday to Saturday from 10a.m. or 11a.m. to 5p.m. or 6p.m. Many shops usually open later on Sundays than on weekdays, and close earlier. Malls tend to stay open longer hours. Go behind the scenes on the world famous Studio Tour to explore where Hollywood movies are made. Then, enjoy thrilling rides, shows and attractions that put you inside some of the world’s biggest movies. End your day at Universal CityWalk® with acres of L.A.’s hottest entertainment – from indoor skydiving to live music, movies, clubs and mouth-watering food – why would you go anywhere else? Street performers, tattoo artists, novelty vendors, Gen-X nomads, hippies, people-watchers and freaks of all kinds come together to create this unique bazaar you have to explore at least once. And don´t forget the three-mile beach or the streets that are lined with edgy boutiques. 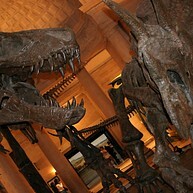 No wonder why this is one of the most popular visitor attractions in Southern California! Being the first theme park in the world, Disneyland materializes every sugary, colorful fantasy there is. As you step into this magical land you will be meet by famous Disney characters such as Mickey Mouse, Donald Duck, Goofy, Tinker Bell, Aladdin, Anna & Elsa, Cinderella, Peter Pan just to name a few. Welcome to the happiest place on earth – homage to an imagination. 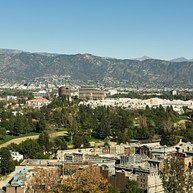 Spread over 4,000 acres, Griffith Park is the largest urban park in the United States and has been used as the backdrop for several movies, including "Batman" and "Jurassic Park." It houses the Griffith Park Observatory, and the Los Angeles Zoo. 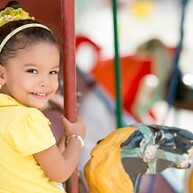 Also within the park are the Autry Museum of Western Heritage and the Travel Town Transportation Museum. Fifty-three miles of picturesque hiking trails as well as swimming, biking and horseback riding ensure something for everyone. 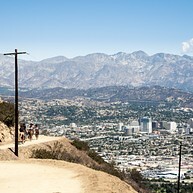 Griffith Park is also home to the Hollywood sign, which stands on Mt. Lee. Between Crescent Heights Boulevard and Doheny Drive, you can indulge in all the glitz, glamour and spectacle of L.A. without traveling more than a few blocks. Sip a poolside or rooftop drink at exclusive bars, or hear live music at rock clubs like the Viper Room and House of Blues. 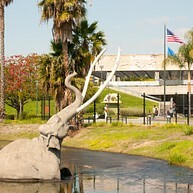 La Brea’s tar pits have thousands of animal bone and plant remains. Some of the fossils have been dated back to 40,000 years ago. Many of these are on view in this fascinating museum, including the remains of a 9,000-year-old woman! During the late summer, the outdoor excavation pits can be visited with experts demonstrating how the remains are recovered. With its Frank Gehry-designed interior and wonderful collection of masterpieces by Degas, Picasso, Rembrandt, Goya and Rodin, the Norton Simon is the best-kept secret in Los Angeles. The house is set in beautiful gardens and exhibits one of the most impressive private collections of American, European and Asian art in the world. Downtown Art Walk takes place on the second Thursday of every month. 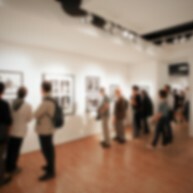 This self-guided tour is the perfect experience for art lovers as it showcases many art exhibition venues in Downtown Los Angeles. One of the cultural symbols of Los Angeles, Walt Disney Concert Hall is said to have the most 'acoustically sophisticated' concert halls in the world. Home of the Los Angeles Philharmonic orchestra and the Los Angeles Master Chorale, this downtown building truly is an architectural wonder not to be missed. 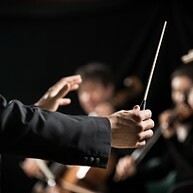 One of the largest art museum in the western United States, this cultural mecca houses a superb permanent collection of pieces from all over the world and maintains a vibrant program of events, exhibitions, art house films and jazz concerts. LACMA attracts almost a million visitors annually and displays more than 150,000 works spanning from ancient times to the present. The Rose Bowl Stadium in Pasadena was built in 1922 and is known mostly for its football games. No fewer than five NFL Super Bowl games have been played here. 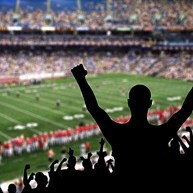 The stadium is open to the public and is a popular place for exercise, walking or running. Day or night, get your cardio workout in this beautiful location. Iowa is an authentic war ship that is now open to tourist visits. History buffs will enjoy the guided tours and learning about the ship's glory days, while kids will be kept occupied by treasure hunts. Join the "Full steam ahead tour" where you get access to areas of the ship that is usually not shown to the general public. With an impressive collection of nearly 35 million specimens and artifacts, this is the largest natural and historical museum in the western United States. 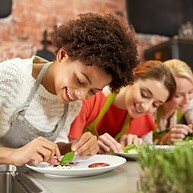 A family-friendly museum that has something for everyone - apart from the dinosaur fossils and gems there is also the Los Angeles discovery zone in the basement with live animals and interactive exhibits.